The Bloomberg-Paulson-Steyer Risky Business Project released its long-awaited report a little over a week ago. Risky Business: The Economic Risks of Climate Change in the United States and associated support documents add significantly to the climate risk literature, and have gotten a great deal of well-deserved press and social media attention. 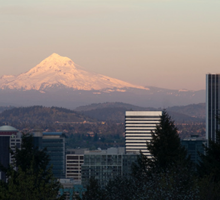 Here in Oregon, efforts are underway to build business support for action on climate change, so the Risky Business Project’s conclusions no doubt interest both business and environmental constituencies. So what do Oregon’s quantified climate risks look like, according to the new report? Agriculture: Within a probability range of $0 to $200, Risky Business projects an expected benefit in agricultural production to the tune of about $100 per Oregonian. Energy Costs: Within a range of -$60 to +80/per capita, Risky Business projects an expected reduction in energy costs of $25 per capita. Labor Productivity: Within a range of $20 – $320, Risky Business projects an expected reduction in labor productivity of $120 per capita. Increased Mortality: Within a range of -$1,800 to +$900, Risky Business projects an expected reduction in mortality costs of $900 per capita. 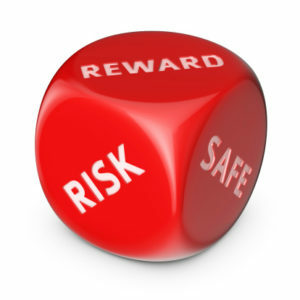 Crime: Within a range of -$5 to $25, Risky Business projects an expected increase in the costs of crime by $14 per capita. Sea Level Rise and Increased Storm Damage: No anticipated change for Oregon. It’s worth noting that these numbers are based on the highest greenhouse gas (GHG) emissions scenario used in the report (referred to in the report as RCP 8.5), and the most distant timeframe (2080 – 2100). In other words, these numbers reflect the report’s “worst case” results. Putting these numbers together, the Risky Business Project forecasts for Oregon a range of climate-induced change in economic output of -4% to +3%, with an expected benefit of about 2%. So, it would appear, Oregon’s climate risk “worst case” is an increase in economic output. Wow! Not exactly what we might have expected from the report, and clearly an outcome that could be interpreted in “don’t worry, be happy” terms by audiences looking for that spin. But is the Risky Business Project really saying “don’t worry, be happy” to Oregon? Of course not. The report is quick to note the limitations of the current analysis, and the existence of many climate change impacts that could not be quantified. Indeed, the authors go so far as to characterize the report as a “research framework” for further work on climate risk. So what about some of the very real risks climate change poses for Oregon, and how does the Risky Business report address them? Radically increased forest fire risk? Mentioned, not quantified. Reduction in or loss of iconic cold-water fish like salmon? Mentioned, not quantified. Loss of ski areas, winter recreation, and reduced tourism spending generally? Mentioned, not quantified. Reduced carrying capacity of rangeland? Mentioned, not quantified. Dramatically worsened conflicts over agricultural water? Mentioned, not quantified. Fundamental changes in Oregon’s population and politics as millions of Texans flee Texas? Not mentioned, not quantified. Does this mean that the Risky Business Project’s effort to quantify climate risks is a failure, at least in Oregon? No. The analysis is a real contribution to the larger discussion of climate risk. The real problem is in our expectations for the report, not the report itself. Reinforced by the hype of the last six months surrounding the expected release of the report, many of us probably hoped to finally get proof of why business and policy constituencies should perceive climate change as a credible and actionable risk. It’s a hope that tends to accompany every new report, including the National Climate Assessment released just a couple of months ago. But we’re invariably disappointed. When a new report comes out there’s a flurry of press and Twittersphere activity, but the hoped-for “climate risk proof” isn’t there. So we settle in to wait for the next report, confident that the “proof” will be there. If reports including Risky Business and the National Climate Assessment can’t convincingly describe the climate risk situation facing Oregon, what should we do? One answer is to look to the field of scenario planning, which has evolved as a proven way to better frame decision making in the face of future uncertainty. To effectively communicate climate risk in Oregon, we need climate risk scenarios that are specific not only to Oregon, but to particular audiences in Oregon. Should Oregon’s farmers be concerned about climate change? Start the conversation with a well-developed agricultural climate risk scenario. The same goes for other key constituencies; climate risks need to be framed in ways that “speak to” individual constituencies. The Risky Business report did a good job of personalizing a variety of risks so that readers within a region could better envision what life may look like by 2020. While the localized impacts may be benign or even beneficial in some parts of the US (here in New England we can’t wait to replace all this damn ice with kudzu), Oregon may be one of the relatively rare “winners” in the sweepstakes. That assumes, or course, your improving economy won’t find itself the target of an increasing Federal tax burden required to deal with the messes all the rest of us will be in.